Disk Jockey Ronnie Allen interviews top recording acts of the 50's and 60's each week for the website www.jersey girlssing.com (Bernadette, Denise and Peggy sang those great backup vocals ("Stop") on Lou Christie's "Lightnin' Strikes," as well as on many other hit recordings!! Click here to visit the Jersey Girls website. Ronnie's energetic shows are broadcast on WNJC-1360AM in the Philadelphia area, and are archived on Ronnie's Radio Page. Click here to hear Ronnie's hour long interview with Nino and April from December 13, 2007. 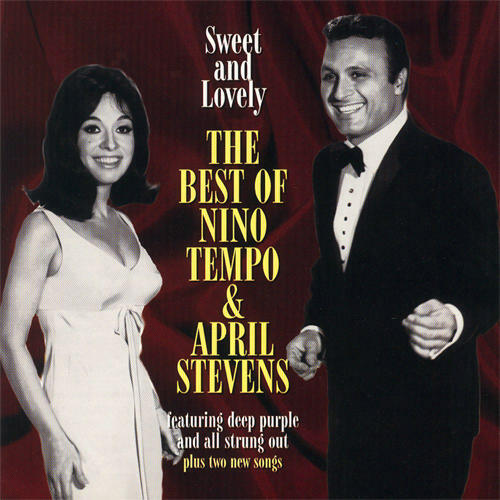 If 'Deep Purple' and 'All Strung Out' are what you know of April Stevens and Nino Tempo, you're about to embark on a very rewarding musical adventure! In fact, it seems they set out to leave no stone unturned as they explored different sonic solutions to the age old problem of 'putting their message across' in song. 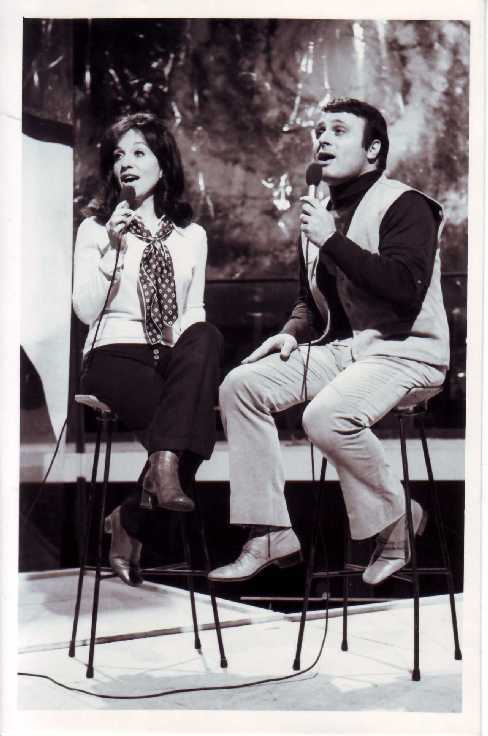 Carol and Anthony LoTempio were born in Niagara Falls, NY. They took the Grammy� for Best Rock & Roll Song in 1963. And, on October 26, 1999, they were inducted into the Buffalo Music Hall of Fame in Buffalo, NY: a fitting tribute to two of pop music's most versatile and durable adventurers. They seem to have been born to create music. Explore, and discover some of the many roads their musical wanderlust has taken them. 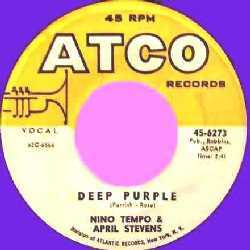 Click on the "Deep Purple" label to hear some samples of April & Nino's rare and unreleased studio recordings such as "Swing Me," "I Wonder Who's Kissing Her Now," "Boys' Town," "Would I Love You," "Angelito," "Memories Of You," and even "Deep Purple" sung in Italian! Huge thanks to April and Nino for immense patience and assistance from the start, and their growing and continuing friendship. Also, much gratitude to Andy Wheeler and his colleagues who provided so many tools and ideas so that this website could continue to function and to improve. A very special "danke" to Dr. Heinz Erich Steine in K�ln, Germany who provided us with a very rare and unusual recording by April and Nino, which can be heard in the samples section of this website. And finally, sincere appreciation to Salt Lake City's own Willy Bautner, who is always willing to test the site to make sure everything is working as it should. Many thanks for the kind comments and for offering such tremendous encouragement.